In 1823, master glazier Josef Lobmeyr opened his first little glass business in the heart of Vienna. Since then, six generations have unveiled the miracle of glass. Together with designers like Josef Hoffmann, Adolf Loos, Ted Muehling, Marco Dessí, POLKA, Mark Braun, Sebastian Menschhorn and Formafantasma, classic pieces of handmade crystal and chandeliers emerged, which are appreciated by connoisseurs all over the world. Lobmeyr crystal can be found in collections like the MoMA New York (USA), V&A London (UK) and the MAK in Vienna. 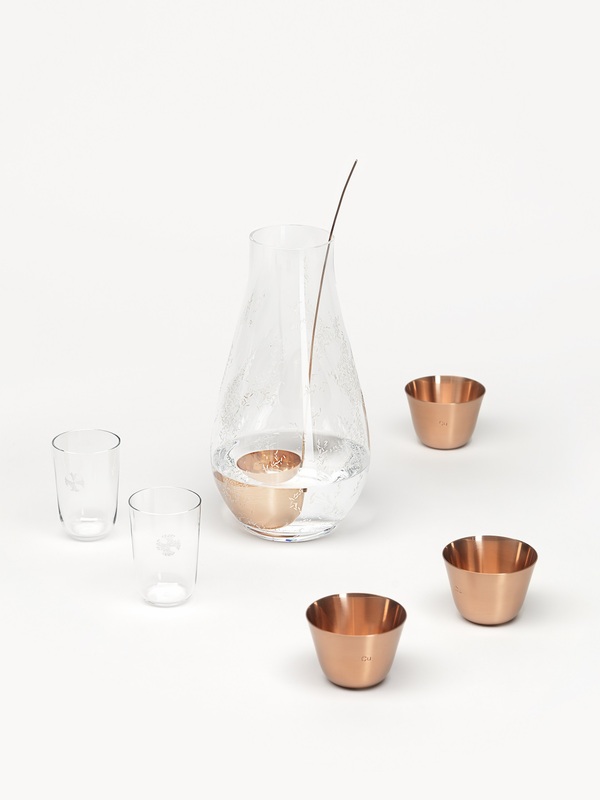 Still is a collection of carefully engraved crystals, designed to serve the most humble and fundamental of all drinks – tap water. 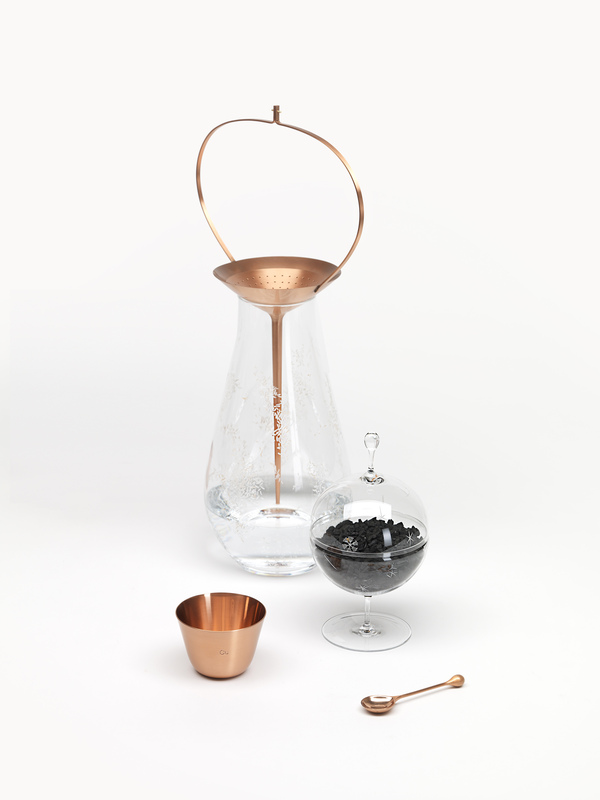 The collection pairs crystal with copper and activated charcoal to improve the taste of tap water. The craftsmanship expressed in the engravings, the aerial proportions of the copper filters and their subtle religious references invite the user to handle the pieces carefully, thereby transforming these gestures into a daily ritual of water purification.